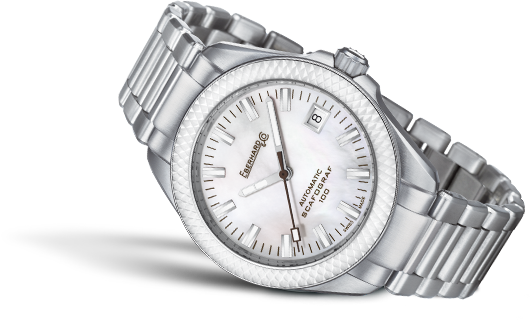 The ceramic 3D bezel has a faceted finish with relief effect, in a white or chocolate colour matching the two mother-of-pearl dial versions on which luminescent applied markers stand out. 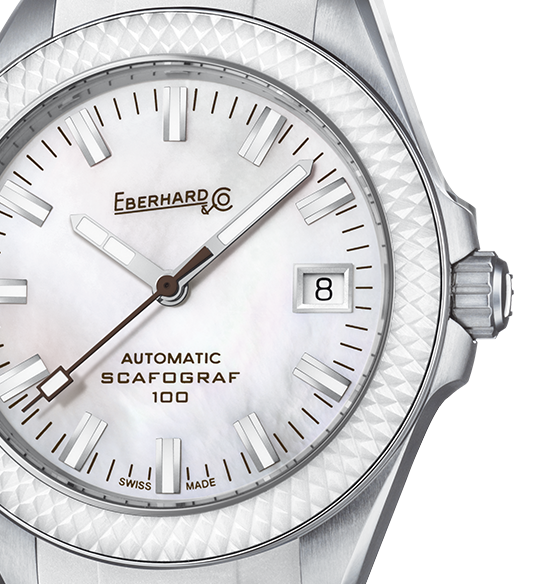 Water-resistant to 100 m, the new Scafograf 100 retains some of the features of the historic collection of diving models. 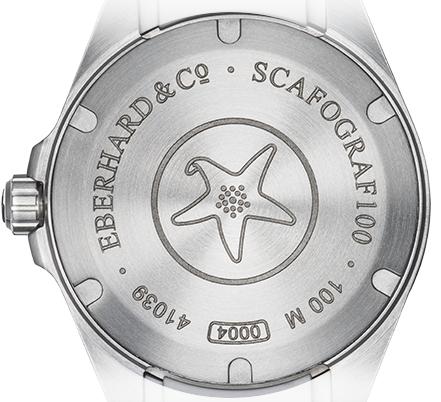 The steel caseback is screw-tightened and customised with the engraving of a stylised starfish, a historical design that the Maison already used in the 1950s. Animated by an automatic movement in a 38 mm steel case with a polished, satin finish, Scafograf 100 comes with a white or chocolate integrated rubber strap or a steel Chassis® bracelet. 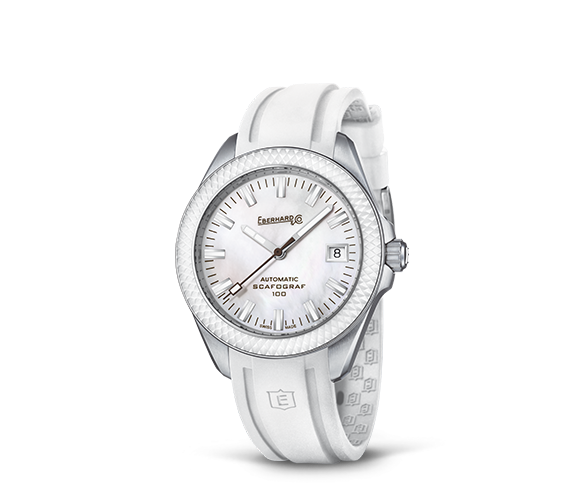 I’t a new model dedicated to the sporty, dynamic and sophisticated woman. For info about the technical features of the Scafograf 100 including downloadable material such as the user manual.